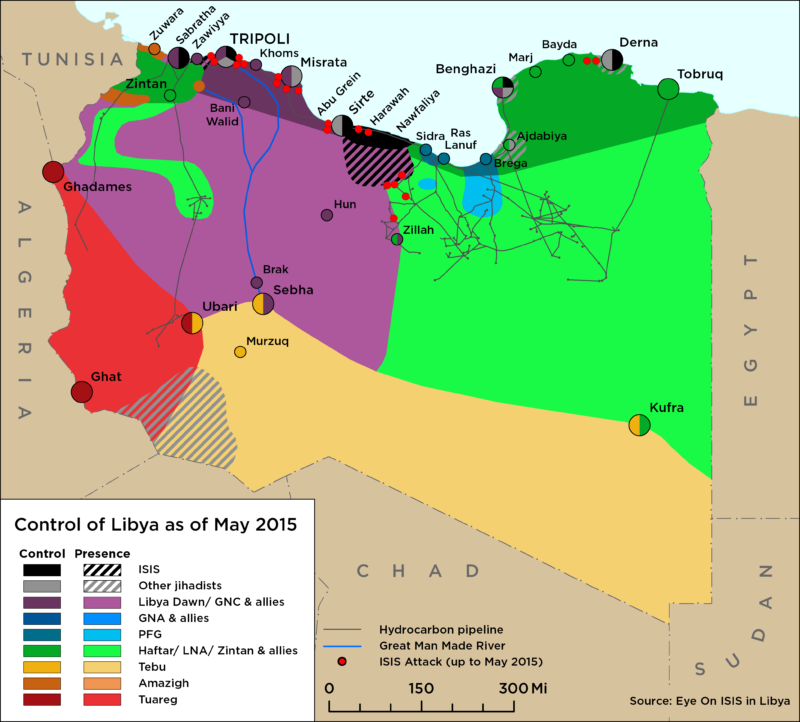 On 17 October, Libyan military unification talks resumed in Cairo. The discussions, mediated by Egypt, ended with no formal declaration, resolutions or agreements. Details of the meeting’s agenda and those who attended have not been released. However, the Spokesperson for the Libyan National Army (LNA), General Ahmad al-Mismari, stated that at the meeting there was an agreement to establish three leadership councils: a National Security Council, a Supreme Defence Council, and a General Command Council. 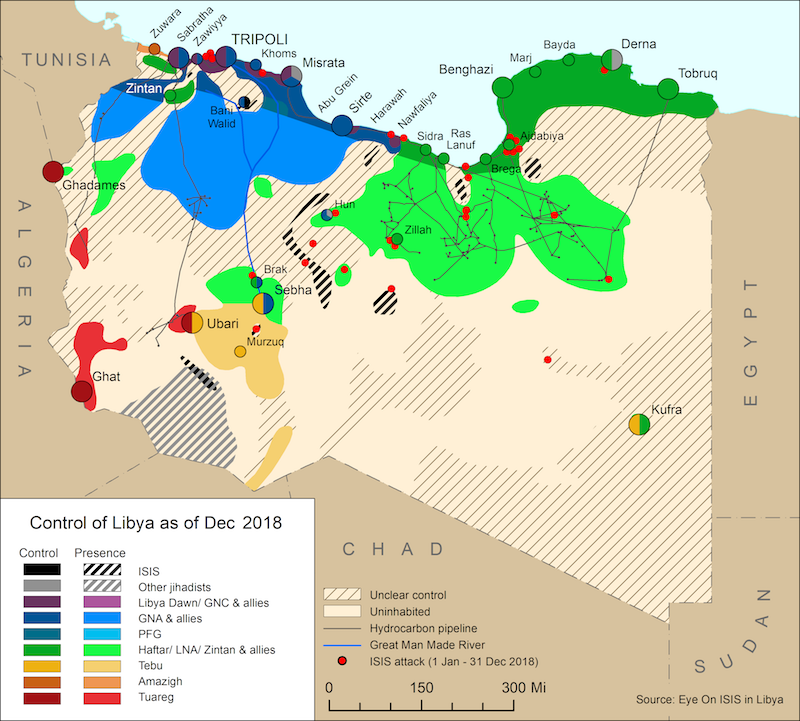 On 19 October, the leader of the Libyan National Army (LNA), Khalifa Haftar, launched Operation “Hawd Murzuq”, that will see a joint task force attempt to remove rebel armed groups responsible for kidnapping and robbing in the Central region, Sabha, Brak, Ubari-Ghat, and Murzuk-Kufra regions. The task forces consist of the LNA’s 10, 181, 177, and 116 Infantry Brigades, and the Subul al-Salam Battalion. On 16 October, the LNA’s 10th Infantry Brigade, lead by Colonel Muhammad Ali Baraka, and the 181 Infantry Brigade, lead by Colonel Tariq al-Hasnawi, were sent to support the Khalid Bin Walid Brigade fight Chadian rebel forces east of Umm al-Aranib. On 19 October, UNSMIL released a statement deploring the dire security situation in southern Libya and called upon Libyan authorities to take action against the lawlessness that has plagued the region. In its statement, UNSMIL encouraged regional actors to support Libyan authorities in addressing the issue.